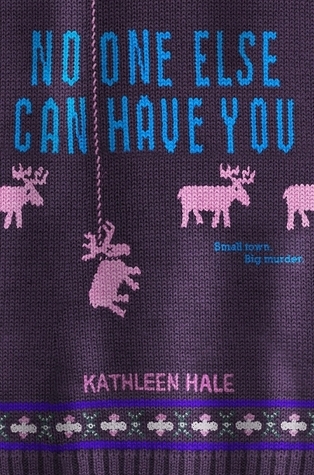 No One Else Can Have You follows the story of Kippy Bushman, a teenage girl living in the small town of Friendship, Wisconsin. Kippys best friend Ruth was brutally murdered in the corn field behind Kippy's house. Kippy and the town is so relieved when the police catch Ruth's killer but soon Kippy starts to believe that they have the wrong person in custody. Kippy brings this to the polices attention but they want nothing to do with her. This forces Kippy to try and piece the mystery together and find Ruth's killer before they kill again. I love a good mystery and so I was very excited when this book came out. Once I finally picked up this book I was ready for a great mystery to occupy me. I really wanted to like this book but sadly I just did not. I am not saying it is a bad book, it is just not the book for everybody. I had heard this from other people but I love a good murder mystery, I watch all the shows like Criminal Minds and Hannibal that really go into depth about the mind of a killer, as a result I did not think that I would have a problem with the book. Even though I love those kinds of shows and books this one just did not work for me. One problem I had was that I could not find one way to relate to the characters. Part of that was probably to do with the fact that a lot of the times they did not sound like regular teenagers to me. During the book you get to read journal entries from Ruth's diary. Most of Ruth's entries were vulgar. I know teenagers can talk in vulgar terms at some points but this was at another level then teen vulgarity. When I combined the vulgar and creepy content over the book not only did it not sound like teenagers but it also turned me off from wanting to read the book. The book and plot also seemed really jumbled to me. At times parts would go very slow and then all of sudden it would jump into this big turning point and then it would be gone in a flash. The book left me feeling almost out of sorts. The one compliment I do have for the author is that she is very good at concealing the killer. The reason I continued to read the whole book was because I needed to find out who had murdered Ruth. This is probably the first time where I have not figured out the killer until the book tells you. The killer was somebody I had never even suspected and I liked that. If you are really into murder mysteries I would not turn away just yet, like I said the book is not for everybody but maybe it will be okay for you. The writing is not bad, just the overall content seemed unappealing to me.